Your children have so many options for extracurricular activities that it might seem impossible to narrow the choices down to find the one or two that are just right for your kids. Maybe you want them to be on a team but you worry about them being overshadowed. Maybe you want them to do something physical that they can continue to enjoy for years at a time but you don’t want them getting hurt. Maybe you would like to see them engaging in an activity that challenges their mind. Well, your child is in luck. Fencing at the Lilov Fencing Academy in Cedar Grove takes care of all of those requirements in one incredible sport! 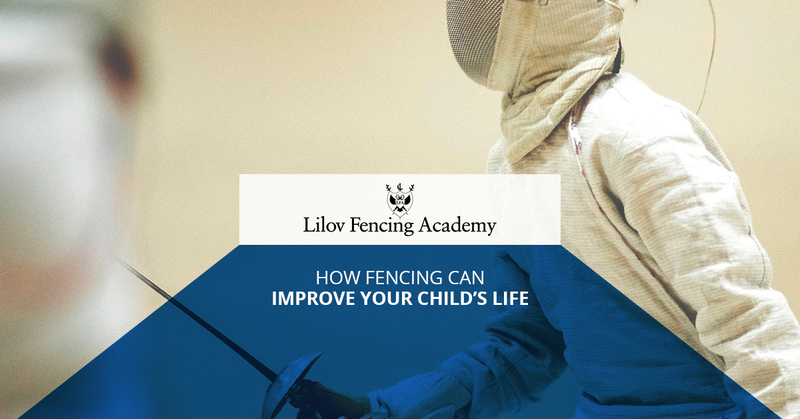 Read on to learn about the ways that fencing can improve your child’s life and how you can be satisfied knowing that your little ones are a part of a team where individual performance matters, where they’re getting great exercise, and they’re using their heads. Contact us to sign up for fencing classes in our state-of-the-art training facility. At Lilov Fencing Academy, your child will get individual attention from world class coaches in a fun and safe environment. While all sports have a degree of strategy involved, fencing is unique in that it is a game as much about the mind as it is about the body. In order to be successful, fencers must learn how to think about the game, what moves to make, the rules of the sport, and how all of these come together to make victory possible. The ability to outthink an opponent is just as, if not more, important than being able to physically overcome an opponent, and fencing teaches this skill from day one. Being able to think about options, responses, and strategies is useful not only at a fencing meet but throughout all of life. Fencing demands that the body be in excellent shape. While there is not as much running as some track events or soccer, stamina is a vital attribute for success during a match. The quick bursts of energy that are expended during a bout require a good deal of training to be able to effectively harness. At Lilov Fencing Academy, we make sure that our students are in excellent shape so that they can compete at as high of a level as possible. Physical fitness will help improve the rest of your child’s life because it will keep them healthier, both mentally and physically. Friends made at fencing school tend to stay friends for a long time because of the deep connections they make while they train and compete. The team and the individual are equally important because they assist one another. The team supports your child and your child supports the rest of team. Not only will fencing give your child a chance to shine on their own, they’ll feel like they’re a part of something bigger than themselves. Contact us today to find out when your child can begin taking fencing lessons at our safe and fun fencing academy. We have the best coaches in the country, and many of our students have gone on to fence at prestigious universities.